The last couple of days, what seems like the deterioration of race relations during president Obama's time in office is continuing. No, I am not blaming president Obama for the civil unrest that is happening in Baltimore, but the first black president of the United States has certainly not been the healer-in-chief that he should be at difficult times like this. His willingness and eagerness to divide the people of this country for political gain certainly has not helped unite this country, and I submit has exacerbated the division that we have been seeing more and more in this country these last 6 years. Let's just look at some of these news clips from Baltimore that are very upsetting to me. 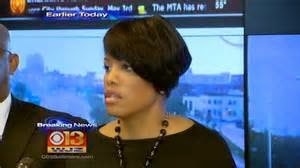 From Breitbart: "During a Saturday briefing, Baltimore Mayor Stephanie Rawlings-Blake said her city government “gave those who wished to destroy space to do that." From The Washington Times headlines: "Intel warning: Gang attacks on white cops might spread outside Baltimore"
The Drudge Report headlines on April 28 at 1:00 am: "Rampage: Week Long Curfew In Baltimore"
From CBS Baltimore headlines: "CHAOS: 15 Officers Injured, Businesses Looted, Fires Set As Violent Riots Plague Baltimore"
From The Baltimore Sun headlines: "Orioles game postponed amid violence." Yes, I am heartbroken too, Dr. Alveda King about the Baltimore riots and about the division that seems to be happening in America today. Was Mueller Probe Driven by Political Bias vs. Trump?